In 2009 Clear Creek Community Church became a member of the Acts 29 Network. 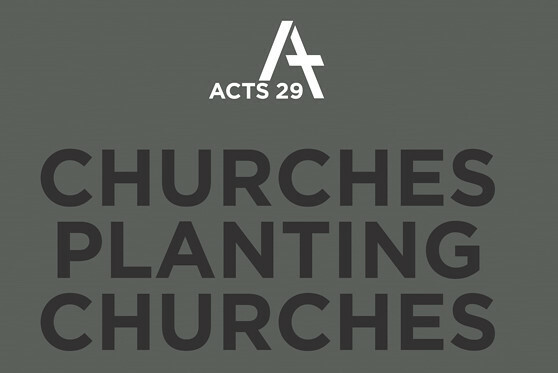 Acts 29 is a group committed to planting churches that plant churches. While no organization is perfect, I can say in the 20 year history of our church plant turned church that plants churches, there hasn’t been a more strategic partnership we have than with the leaders who make up this network. Indeed, if you’re considering planting a church, or in the middle of planting a church, or in an established church that wants to plant churches, I want to give you four reasons why you should consider joining Acts 29. Brotherhood. Leading a church is like climbing Everest. Very few can thrive in the thin air of constant critique, wayward staff and problems too numerous to count. Right or wrong, the result is an overwhelming sense of loneliness. That’s why it’s so important to find other like-minded pastor-climbers. They ‘get you,’ understand your struggles and can laugh heartily at your gallows humor, finishing with the punchlines of their own broken story. They also rejoice with you in the victories of church planting – your gathering of a core group, your inaugural service, your first baptism, and so on. Acts 29, this cohort of climbers, has been a band of brothers for me unlike I’ve ever encountered in ministry. Theology. What we believe is, and always will be, important. Frankly, I struggle to respect ministers who’ve left their doctrine on the top shelf in ministry in lieu of the easy reach of pragmatism. A pastor who ‘isn’t really into theology’ (something one local pastor actually told me) is akin to a doctor informing you he really isn’t into medicine. However, the truth is, theology always (and I mean always) impacts ministry. Acts 29 not only understands this maxim but is rooted in it. Far from being doctrinaire prigs who talk a good game about planting churches while getting stuck in debates of theological minutiae, the network is one of the leading edge organizations in actually planting churches while remaining steadfastly committed to biblical fidelity and doctrinal soundness. It’s a community where doctrinal distinctives are rightfully seen as a strength not weakness. For that I’m very grateful. Fellowship. If brotherhood is a connection of heart, fellowship is a connection of sharing. Acts 29 is a place where I can hear from others, bounce ideas off friends, be encouraged by prayer, deepen relationships with old friends and lay the foundation with new friends. Like Howard Schultz’ hope for Starbucks, the network has become a ministerial ‘third place’ for me that stretches between home and church. It’s an avenue where I can speak/pray/counsel with fellow husband/father/pastor/leaders. And not only for me, but for my wife as well. In Acts 29, my spouse has found fellow sisters-in-arms who know the ups and downs of being a church planter’s wife. Network. Acts 29 is a network in the truest sense of the word in that I’m able to dialogue, run ideas by, and get ministry resources from my fellow pastor-sojourners. Everyone is committed to helping everyone else “move the ball down the field” in establishing for themselves a gospel-centered, missional, church planting church. I get to hear from some of the best practitioners in a variety of ministry settings: mega and small; urban and suburban; attraction and incarnational; etc. Furthermore, I’m intentionally placed within a local network where I can lock arm-in-arm with planters in my area. These are men I cross paths with in gatherings throughout the year and am amazed at their brilliance, passion, and leadership as they shepherd their individual congregations. We preach for each other, pray for each other, bear each other’s burdens, as we work together in the hopes of reaching the city of Houston for the gospel. What more does a planter need than this? It’s priceless. Are there other church planting networks? Absolutely! If one matches the “who, what, how, and why” for you better than Acts 29, join them! But if you desire to plant a gospel-centered, missional, church-planting church, I want you to strongly consider partnering with the Acts 29 Network. I have and can tell you it has been the single, greatest strategic relationship Clear Creek Community Church has ever made for the mission of planting churches! *Some points adapted from an earlier post.